This week Carmelina has written 2 posts again so make sure you come back and read Part 2 later in the week. It’s been great to see some interaction happening. Please consider sending in a comment and sharing your experiences or thoughts. It’s a wonderful encouragement to every one who reads the blog (and to me too!). In Ray’s book he explains that the fundamental flaw in Roman Catholicism is the role it places on human activity in salvation. As Ray says in the book, “… Catholicism seems to have an unrelenting need to find a place for the human; to insert the Church and its rituals and works into God’s plan of salvation.” (p.99) Roman Catholicism says that if we want to be saved, we can’t do it without the Pope, the Roman Catholic Church and good works. So the issue I’d like us to think about this week, is how can a person be saved? What has to happen? To help us dig deeper, I’d like to look at this issue from a slightly different angle. I’d like us to think about ‘how does what Jesus achieved on the cross become ours?’ This is a question that goes to the heart of the most fundamental differences between Roman Catholicism and Protestantism. This week in my first post, I’ll explain the Roman Catholic answer and compare it to the Bible’s answer. In the second, I’ll look at the implications of the Bible’s teachings. Both Roman Catholicism and those who have aligned themselves with Protestantism believe that when Jesus died on the cross, He won benefits (sometimes called grace or merits) which, when given to people, are able to save them from God’s judgment. This idea of Jesus having rewards/benefits/grace/merits started with a man called Anselm. 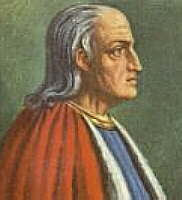 Because all people have sinned, Anselm explained that all people owe God a debt that they can never repay. Jesus, on the other hand lived a perfect life and never owed God a debt. But, Jesus willingly came to earth, lived a perfect life as a human being and then gave his life as the sacrificial payment for the sins of all people. God has accepted Jesus’ perfect life and death as the punishment for people’s sins and so Jesus now has rewards/benefits/merits/grace which He is able to give to people (also called ‘the treasury of merit’). These ‘benefits’ include forgiveness of sins, a place in heaven, eternal life, friendship with God and so on (they are all one package). The only problem is that Anselm didn’t explain how Jesus’ ‘benefits’ are given to us. The answer to this question is the fundamental difference between Roman Catholicism and what the Bible teaches. That’s why a Roman Catholic person has to make sure they keep getting bits of the rewards that Jesus won. Every time you receive a sacrament, every time you receive an indulgence, you receive a bit more of the grace of Jesus. Hopefully, this means you’re edging your way closer and closer to heaven. But what does the Bible say? The simple answer is that the Bible says we can get all the benefits Jesus won at the cross by being united to Christ. Not through the sacraments or any other ritual, but personally. We can be personally joined to Jesus. And when we’re united to Jesus, he gives us all the benefits he won. 2. The next logical question is – how do we get united to Jesus? In other words, how can we come into this relationship with Jesus? The Bible’s answer is by faith. You have to rely or trust in what Jesus has done for you. You have to say to God, “I rely on Jesus, please give me all his benefits.” You can see this in verses like “This righteousness from God comes through faith in Jesus Christ to all who believe” (Romans 3:22) or “For it is by grace you have been saved, through faith.” (Ephesians 2:8). (iii) thirdly, when we receive the gift of the Holy Spirit, we receive Jesus: “And you also were included in Christ when you heard the word of truth, the gospel of your salvation. Having believed, you were marked in him with a seal, the promised Holy Spirit, who is a deposit guaranteeing our inheritance until the redemption of those who are God’s possession.” (Ephesians 1:13-14) What does this verse mean? It means that when we believe in Jesus (when we put our faith in Jesus), we’re “included in Christ.” And when we’re included or united to Christ, the Holy Spirit ‘guarantees’ that all the benefits of Christ will be ours. The Bible says all of this in other ways – The Holy Spirit brings Christ to our hearts (Ephesians 3:16-17) and being united to Christ is the same as having fellowship with the Holy Spirit (Philippians 2:1 – see also Titus 3:4-7 and 1 Corinthians 6:11). 1. what are the implications for the role of the church, the Pope, priests? 3. what are the implications for assurance (ie. whether we can be sure we are saved)? Please write in. I look forward to some discussion. Pics are of Anslem and John Calvin.